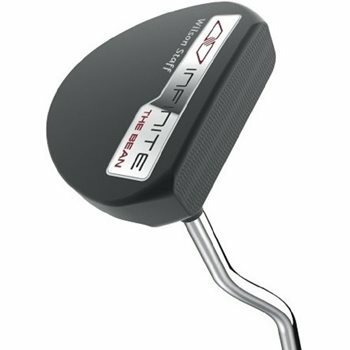 The Wilson Staff Infinite putters were inspired by the classic Wilson putters, and have been updated with precision milling and a dark anti-glare PVD finish. The dual-milled face ensures both a flat face for consistency and forward spin/skid reduction for a true, consistent roll. It features distinctive perpendicular and parallel sight lines for improved alignment. The Infinite Bean has a large, round head mallet design with a double bend shaft.